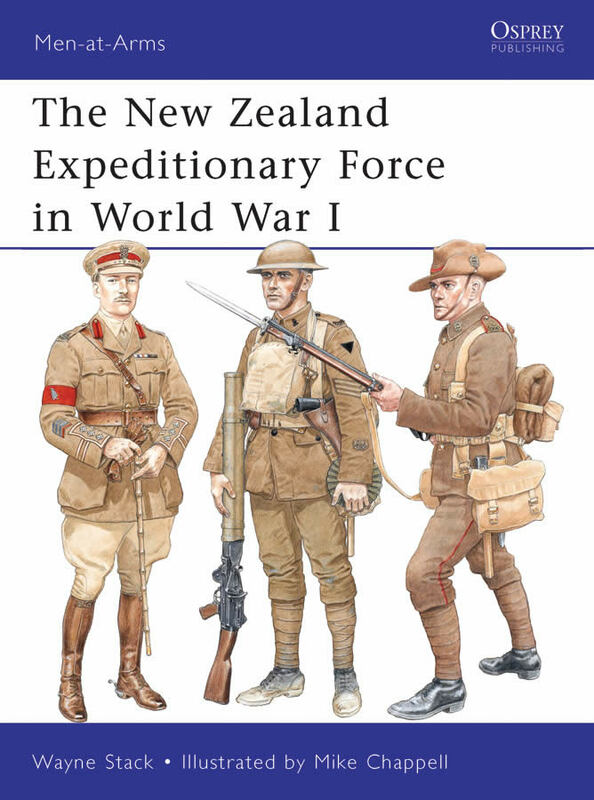 The New Zealand Expeditionary Force in World War I (Men-at-Arms), ISBN: 9781849085397 - available from Nationwide Book Distributors Ltd NZ. Although comparatively small in number, the New Zealand Expeditionary Force in World War I (1914-1918) earned an elite reputation on the Western Front, and the New Zealanders' war effort was a defining moment in their national history and sense of identity. The statistics are astonishing: of the total population of New Zealand of 1 million, no fewer than 100,000 men enlisted - that is one in every five men in the country, and of those, 18,000 men were killed and 58,000 wounded. In other words, 15 per cent of the male population of New Zealand became casualties. The NZEF was first committed at Gallipoli in 1915, NZ cavalry regiments helped defend Egypt and fought in Palestine with Allenby's famous Desert Mounted Corps; on the Western Front the Kiwis were called the 'Silent Division' for their fieldcraft and their uncomplaining professionalism. This book is both a tribute and a history of the crucial contribution made by a small nation.